As outlined in the last post on this thread, the American M1916 field gun, be it a 3-inch or 75mm caliber, was a design project disaster. 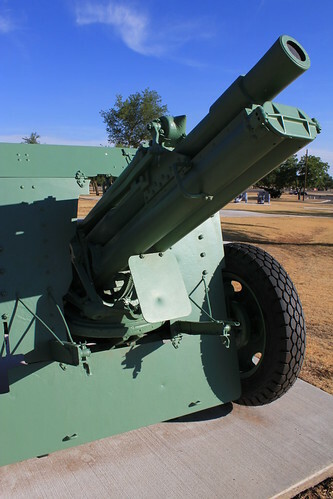 As mentioned in the scope of the M1916 development crisis, upon entry to war the US Army required a major increase in field artillery equipments. This was not only due to the rapid expansion from a near microscopic peacetime army to that of an expeditionary force, but also due to some doctrinal changes. Given the allied experience of 1914-1916, any American force entering the trenches required more field guns than previously allocated to divisional formations. The nature of warfighting in that theater required greater densities of artillery. Prior to World War I, allocations of artillery were expressed in terms of the number of infantry troops supported. In the American plans, two competing schemes emerged. The 1911 Greble Board (named for it’s chair, Lt. Col. E. St. John Greble) figured 3 1/4 guns per thousand infantry. As war experiences came in from the combatants engaged in World War I, another artillery board – the Treat Board – reassessed the needs of the Army should it become involved with the war. While the Greble Board appeared somewhat conservative in allocations, the Treat Board advocated for a lavish five guns per thousand infantry. By comparison, starting the war in 1914, the British employed 6.8 guns per thousand infantry, the Germans reached a ratio of 6.4, and the French were using 4.6 guns per thousand infantry. By 1916 all combatants were employing more than six guns per thousand infantry for quiet sectors, and between eight and twelve for active sectors! Clearly at the entry into war (1917) the US Army had to increase artillery allocations. Division artillery – two regiments of 3-inch guns (12 batteries), 1 regiment of howitzers(six batteries) either 3.8-inch or 4.7-inch. Corps artillery – one regiment of 4.7-inch rifles (six batteries), one regiment of 6-inch howitzers (six batteries), one regiment with a mix of 6-inch rifles (four batteries), 8-inch howitzers (one battery), and 9.2- or 9.5-inch howitzers (one battery). Army artillery park (one per six divisions) – eight 12-inch railway guns, eight 12-inch railway howitzers, four 16-inch railway howitzers. To support the American intent for 20 divisions in France, this plan required 2400 3-inch guns, 1200 light field howitzers, 480 4.7-inch guns, 480 6-inch howitzers, 372 6-inch guns, and around 100 each of the 8-inch howitzers, 9.2/9.5-inch howitzers, 12-inch guns, and 12-inch howitzers, along with fifty 16-inch howitzers. Reality was the Americans had about a tenth of this ordnance on hand. Feeding these guns, Summerall proposed accumulating 15,000 rounds per 3-inch gun; 10,000 rounds for each 3.8- or 4.7-inch howitzer; 8,000 rounds for the 6-inch guns and howitzers; 5,000 rounds for the 8-inch howitzers. Summerall felt each class of gun had a preferable role in combat. This employment was influenced by British thinking. The 3-inch guns would provide rolling barrages, wire cutting, and fire on enemy counterattacks. 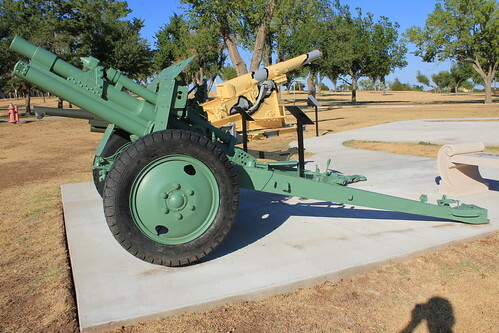 The light howitzers would fire gas and smoke shells, conduct counter-battery fire, and opportunity fires. 6-inch guns would focus on enemy communication centers, balloon concentrations, and conduct counter-battery missions. 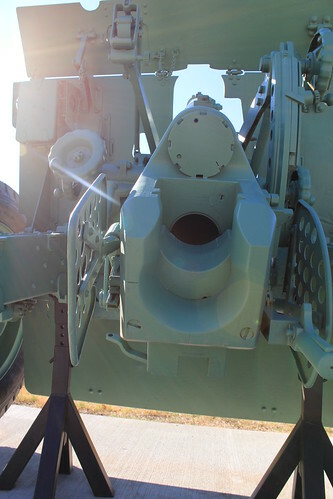 The 6-inch howitzers fired wire cutting missions and also targeted enemy machine guns. The larger guns and howitzers would focus on enemy gun positions and counter-battery work. The plan looks fine, from a 95-years gone-by perspective – but perhaps a bit archaic with the “anti-balloon” and “wire cutting” missions. But just as today’s Army proceeds through PowerPoint fueled meetings, the Army of 1917 convened boards. General John Pershing, soon after arriving in France to stand up the American Expeditionary Force (AEF) headquarters, had established an “organization board” to set standards for the new command. While the Butler Board was still in Europe, called for a conference between the boards. Although the conference agenda covered many aspects, perhaps the most important was to set the corps formations around two infantry divisions, instead of three. This of course had an effect on the allocation of artillery. In terms of armament, Pershing’s board preferred French 155-mm howitzers (which they called 6-inch) in place of the lighter 3.8- or 4.7-inch models. Pershing’s staff also saw no need for the larger 8-inch howitzers below the Army level, opting for 4.7-inch and 6-inch guns in the Corps artillery. In short, Pershing’s board reduced the number of artillery tubes needed for the twenty division AEF – 1080 3-inch guns, 480 155mm howitzers, 120 4.7-inch guns, 408 6-inch guns, and 288 of the larger howitzers. As for the heavy rail artillery, the AEF only wanted forty 10-inch guns and thirty 12-inch mortars. This reduction cut in half the density of guns desired by Summerall. The AEF did, however, add a battery of trench mortars to each infantry division and a battalion of the same weapons at the corps level. While personally I’d have preferred Summerall’s plan, at least the AEF had established an artillery organization by July 1917. And like all plans, there is the test of reality. The AEF needed about 2700 artillery pieces of all calibers, not counting spares and reserves. Even if those numbers sat in some holding area in the U.S., planners had to consider shipping space which was already overloaded just getting 20 divisions worth of troops to France. Considering the ammunition supplies needed for these guns, and Summerall’s estimates proved sound for major operations, the AEF needed even more shipping space. A series of decisions and compromises over shipping forced several modifications to the overall artillery plan. Long story short, the AEF would use predominately foreign-made artillery, initially at least firing quantities of foreign-made ammunition. I’ve already mentioned the change from 3-inch to 75mm for the field gun. For similar reasons, the adoption of the French Schneider M1917 155mm howitzer made perfect logistical sense. 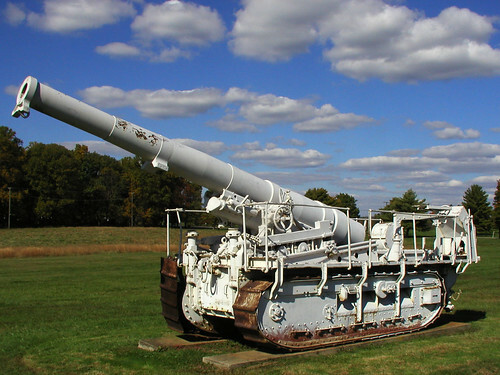 The Americans also opted for the French GPF M1917 155mm gun (the “6-inch gun” requested by the AEF). From the British, the AEF would receive 6-inch guns, 8-inch howitzers, and 9.2-inch howitzers. In addition, the AEF obtained a small assortment of French heavy guns, some of which used early self-propelled mountings. 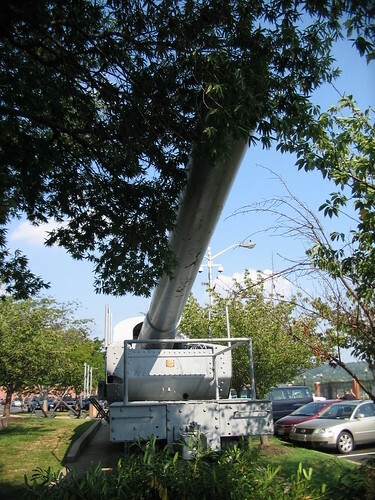 Although a few field guns of American manufacture arrived in France, the most significant contribution American made contribution to the artillery park were several railroad guns stripped from the coastal fortifications (and from Navy stocks for good measure). But that is not to say American industry didn’t try to supply the AEF. Had the war continued into 1919, the weight of American production would have been felt. Nearly every caliber of gun used by the AEF was either in production or had plans for production in the US as the war drew to a close. I’ll take a look at some of those types next, with particular mind to how those guns influenced the designs used in World War II. It’s been nearly a month since I (Craig) took up writing about how the US Army’s artillery evolved from the start of the 20th century. Real world stuff distracts me from this important work! In that first post I outlined the (sorry) state of affairs in the field artillery prior to 1914. 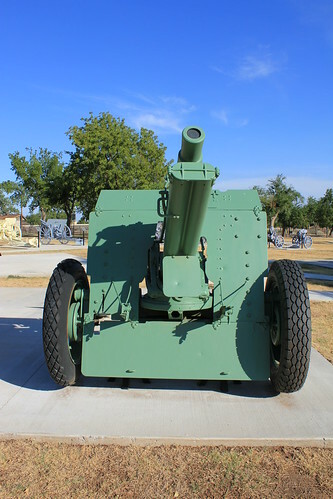 The best field pieces in the US Army were M1902 3-inch field gun (adapted from a German design) and the M1906 4.7-inch field gun, with honorable mention to the Model 1907 4.7-inch howitzer. While the 3-inch gun equipped batteries on General John Pershing’s Mexican expedition (1916-17), developments in Europe indicated the weapon was not sufficient for a larger, overseas war. American pride, and preferences of the Ordnance Department, necessitated a domestic design which proceeded through several prototypes to become the M1916. So American gun designers started with the most advanced carriage design possible, with a split trail. A few foreign designs (notably the Italian M1911 75mm) had adopted this layout. But concerns about the carriage strength held back further adoption. Keep in mind in the early 20th century metallurgy still had some ways to go. On a pole trail or box trail carriage, the junction of the axle and trail is easily braced. On a split trail, the junction is made by some form of hinge and thus by nature a weak point to the system. Nonetheless split trails offer tactical advantages such as wider traverse and higher elevations for the gun tube. The old M1902, on a pole trail carriage, had an elevation range between +15° and -5° and a traverse of 8°. The M1916 3-inch gun boasted an elevation between +53° and -7°, with a traverse of 22.5° left or right. The greater range of motion allowed gunners to switch targets, or stay with a moving target, without repositioning the gun as often. And, oh-by-the-way, place high angle fire on a target otherwise shielded by earthworks or terrain. For ammunition, the Americans initially preferred the 3-inch caliber of the M1902. This same caliber (roughly 76mm) offered some compatibility with seacoast weapons then in service. Although the M1916’s shells weighed only 13.7 pounds, compared to the 15 pound shell of the M1902, the new gun ranged to 9,590 yards. Then the project hit the morass often encountered as the directors strive for “perfect” over “good enough.” In order to lessen the stress on the carriage and at the same time take advantage of the superior gunlaying options, the design team adopted a rather complicated recoil system. Initial designs used a hydro-spring system. But this failed to return the gun to firing positions when operating at high angles. So the design team scrapped that and worked on a hydro-pneumatic recoil system. However, lacking extensive experience with such systems, the Americans floundered. Ultimately, the Americans contracted a French designer who for the most part just reproduced an existing hydro-pneumatic recoil system then in use on his country’s guns. And to top it off, initially no American manufacturers were allowed to produce the system, so the first batches were fabricated in France. But that was not the end of problems for the M1916. The M1916 used a simple vertical sliding breechblock and offered the gun crew a relatively compact work area. Or in other words, the crew was cramped together in between the trails in order to work the piece! As near as I can tell, the Ordnance Department simply shut out the artillerists from design input. Furthermore, in order to provide strength and mount the elaborate recoil system, the designers wanted a one piece pedestal to support the cradle, gun, and recoil system. After casting trials, this design failed to meet manufacturing standards. So once again the designers made modifications. The new mount incorporated several cast components. By this time the year was 1917, America was entering the war, and no M1916s were ready. The crash program had crashed, but nobody was willing to admit such. Entry into the war brought another design change – a change of a single millimeter – but a significant change translating to more delays. Faced with the need to equip a vastly expanded army, the US needed to acquire not only field guns but also piles of ammunition. To avoid potential SNAFUs with a proliferation of calibers, the Army agreed to use French ammunition for the lighter field pieces. So the M1916 was re-chambered for the French 75mm caliber then in widespread use, down from the 3-inch or 76mm. That single millimeter represented changes to the chamber dimensions, the recoil system, and carriage. Although minor in scope, these were changes introduced to a weapon system at an advanced development state. Of note, the new ammunition, firing a 13.5 pound shell, increased the range to 12,400 yards. Not until March 1918 did the first example go to France to receive its recoil system. Arriving later that year, the first gun went through extensive trials. Firing trials went well, but the carriage itself could not handle extensive cross country movement. More modifications strengthened the carriage and reduced play in the traversing system. The advanced carriage design with advanced recoil system along with the multitude of design modifications lead not to the perfect weapon, but rather an unacceptable one. The final design weighed a respectable 3240 pounds on the carriage. Finally put into full production, the Army received about 250 of the M1916 75mm guns by December 1918. But at that point the war was over. Looking at the sad story of the M1916, many would call it the “Crime of 1916.” It was, for all purposes, the “SGT. York Project” of the real Sergeant York’s time. After the war the cash strapped Army worked with the weapons on hand. The M1916 received some refinements during the 1920s and 1930s. Some of the guns went to the coastal artillery for use as sub-caliber training devices for the big gun crews. At least one was tested as an anti-aircraft gun, mounted on a truck (part of an American preoccupation for multi-purpose guns during the inter-war years). Others received pneumatic wheels and updated brake systems for high speed towing. In 1940, some of these M1916s finally got to Europe – purchased by the British who were desperately short of anything that could shoot. In British service these guns received the designation “Quick Firing 75mm ‘S’ Mk 2.” The Mk 2s armed home guards and defended beaches, but scarcely fired a shot in anger. A handful remained in the US, used for training in those early war years. With the failure of the M1916, the US Army turned to other, foreign designs to equip the artillery batteries sent to France during World War I. I’ll look at those next.